The Debian Desktop subproject is a group of volunteers who want to create the best possible operating system for home and corporate workstation use. Our motto is Software that Just Works . 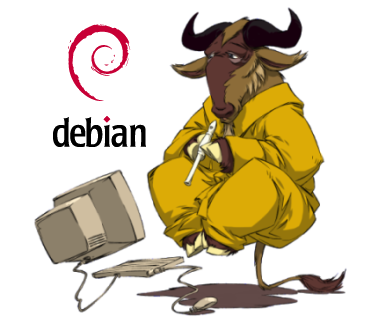 In short, our goal is to bring Debian, GNU, and Linux to the mainstream world. Recognizing that many Desktop Environments exist, we will support the use of them, and make sure they work well on Debian. We recognize that there are only two important classes of users: the novice, and the expert. We will do everything we can to make things very easy for the novice, while allowing the expert to tweak things if they like. We will try to ensure that software is configured for the most common desktop use. For instance, the regular user account added by default during installation should have permission to play audio and video, print, and manage the system through sudo. We will try to ensure that questions which are asked of the user (which should be kept to a minimum) make sense even with a minimum of computer knowledge. Some Debian packages today present the user with difficult technical details. Technical debconf questions presented to the user by debian-installer should be avoided. To the novice, these are often confusing and frightening. To the expert, they may be annoying and unnecessary. A novice may not even know what these questions are about. An expert can configure their desktop environment however they like it after the installation is complete. The priority of these kinds of Debconf questions should be at least lowered. And we will have fun doing all of it! Test our Desktop Default Environment task (or kde-desktop task), installing one of our next release testing images and send feedback to the debian-desktop mailing list. Work on debian-installer. The GTK+ frontend needs you. Help Debian GNOME team, Debian Qt and KDE Team or Debian Xfce Group. You can help with packaging, bug triaging, documentation, tests and more. Teach users how to install and use the Debian desktop tasks we have now (desktop, gnome-desktop and kde-desktop). Work on lowering the priority of, or removing unnecessary debconf prompts from packages, and making the ones that are necessary easy to understand. Help the Debian Desktop Artwork effort. We have some articles in our wiki, and our starting point there is: DebianDesktop. Some Debian Desktop wiki articles are outdated. This subproject is being discussed in the debian-desktop mailing list. We encourage anyone (Debian Developer or not) who is interested in Debian Desktop to join #debian-desktop on OFTC IRC (irc.debian.org). Anyone who wants to be is welcome. Actually, everyone in pkg-gnome, pkg-kde and pkg-xfce groups are indirectly involved. The debian-desktop mailing list subscribers are active contributors. The debian installer and tasksel groups are important for our goals too. This web page is maintained by Gustavo Franco. Former maintainers were Martin Loschwitz and Colin Walters.